Glendale, CA: The Arthur H. Clark Company, 1949. Hardcover. Small 4to. Burgundy cloth with gilt spine lettering. 418pp. Top edge gilt. Frontispiece, illustrations, foldout map. Near fine. Spine ever-so-slightly sunned. 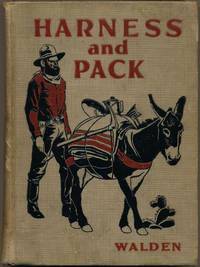 First edition, handsome and tight, of the sixth volume in the "American Trail Series." CLARK AND BRUNET 267. HOWES S 859. SIX GUNS 2084. New York: Tudor Publishing Co, 1943. Hardcover. Small 4to. Blue cloth with gilt lettering and decoration, pictorial dust jacket. xi, 283pp. Frontispiece, illustrations, map. Near fine/very good. Mild jacket edgewear and faint age toning. A tight, quite nice fourth printing of this reprint edition of what many consider one of the best books on the subject. Outstanding jacket graphics by R.H. Rodgers. RADER 1231.RITTENHOUSE 178. Bismarck, ND: Capital Book Company, 1925. Paperback. 8vo. Stiff tan wrappers. 17pp. Illustrations. Near fine. First edition, tight and handsome. Story of the freight and passenger service that helped open up the Black Hills gold fields, from the prolific pen of this North Dakota State Historical Society superintendent. Rather scarce. Boston: Harvard Business School Press, 2000. Hardcover. Small 4to. Black cloth spine with silver lettering and grey paper over boards, dust jacket. xvii, 278pp. Tables. Fine/fine. 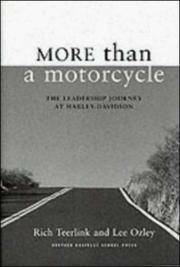 A tight and handsome first edition, inscribed and signed large and bold in black marker on the title page by the author, retired Harley-Davidson chairman and CEO: "Go! / Rich / Teerlink." Stanford: Stanford University Press, 1950. Hardcover. Small 4to. 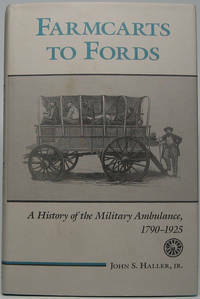 Yellow cloth with brown lettering, pictorial dust jacket. xi, 93pp. Illustrations, map endpapers. Near fine/good only. Jacket quite edgeworn, with many edge chips. Tight, nice first edition of this tale of a bizarre 1857 attempt to bring camels to California on a route through Texas, New Mexico and Arizona. Handsomely signed and inscribed by the author in blue ballpoint on an inner flyleaf: "Compliments / of / Harlan D. Fowler / Christmas -- 1952." Laid in is a glossy pictorial 3¼" X 1½" "Joy at Christmas" gift tag on which he pens, "To / Netty and Stanley / From Dorothy -- Harlan." Fowler (1895-1982) was a noted aeronautical engineer and inventor best remembered for the still-used Fowler flap. Signed copies of this title are quite uncommon. New York: American Book Company, 1935. Hardcover. Introduction by Jesse H. Newlon. Illustrations by Frank J. Murch and others. Small 8vo. Tan cloth with brown lettering and black and brown pictorial stamping. v, 170pp. Numerous line drawings. Very good. Mild edgewear. Tight, attractive first edition of this young adult history of modes of transportation: horses (pack, saddle, draft, war, fire, etc. ), covered wagon, mule, donkey, reindeer, dog and more. Fun front board graphic depicts a 49er trudging alongside his pack-laden mule. New York: The Macmillan Company, 1964. Hardcover. Small 4to. 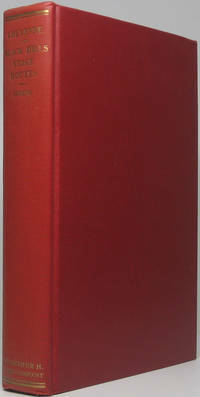 Black cloth, pictorial price-clipped dust jacket. vii, 310pp. Illustrations, map endpapers. Very good/very good. Jacket a bit edgeworn, with spine slightly sunned and several small edge chips. Tight, nice first edition -- and signed small but bold by Havighurst in blue ballpoint on the inner flyleaf. From the library of Adlai E. Stevenson III (b. 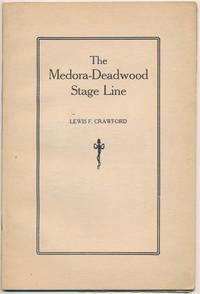 1930) and in turn likely from the library of his father, Adlai E. Stevenson II (1900-65), Illinois governor and twice presidential candidate. New York: Dodd, Mead & Company, 1966. Hardcover. Small 4to. Blue cloth with gilt spine lettering, pictorial price-clipped dust jacket. viii, 324pp. Illustrations, maps. Near fine/very good. Jacket a bit edgeworn. A tight and attractive first edition of these (to cite front jacket panel) "Adventures and Discoveries Along American Waterways" from coast to coast. New York: Simon and Schuster, 1952. Hardcover. 4to. Black cloth spine and orange paper over boards, dust jacket. 312pp. Numerous illustrations. Very good/good. Slight fraying at head and foot of spine. First edition. Milwaukee: Kalmbach Publishing Co, 1961. Paperback. 4to. Stiff black pictorial wrappers. 64pp. Illustrations, line drawings, charts. Very good. Minor edgewear. Tight, attractive first edition of this popular guide on "How to Install and Operate R/C in Planes, Boats and Other Models" (to quote the front wrapper). N.p. : Nebraska State Historical Society, 1972. Hardcover. Small 4to. Green cloth, pictorial price-clipped dust jacket. xv, 312pp. Color frontispiece, illustrations, maps, tables, map endpapers. Fine/fine. First edition, Volume XXVI of the Nebraska State Historical Society Publications. Fascinating history of Western overland travel prior to the first transcontinental railroad. New York: Evelyn Curro, 1955. Hardcover. Oblong 16mo. Green cloth with color front cover label. Near fine. Twelve handsome, color, heavy stock prints, each 8½" X 6", printed rectos only. "Shown in these twelve prints for framing are the ornate Mississippi and Ohio River boats, large and small; the shallow, and rough water boats of the Missouri River and Bayou country; the covered sternwheels of the Columbia River; the ferries of San Francisco; the beautiful sidewheelers, old and new, of the Hudson River; and the luxury boats of Long Island Sound...." First edition, tight and attractive.